They’ve only gone and put it in bottles! 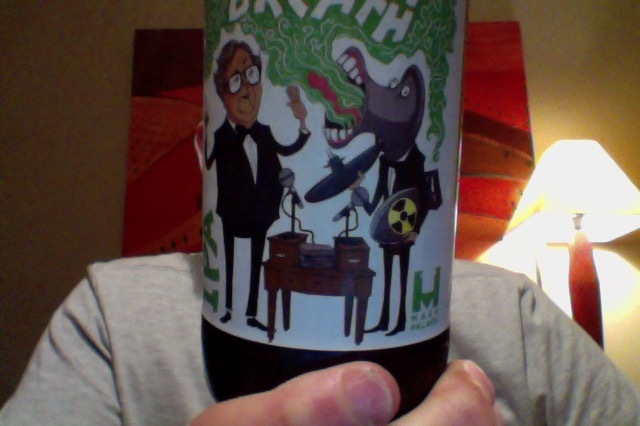 The Mash Palace Uranium Breath beer that was just that good is not on a wider distribution. Mad if I didn’t try one. This made the Pdubyah 10 list in the keg version, I’m hoping the bottle will be just about as good. For me this is perfect, if I could rock up to the local and have this I’d not be disappointed. A 500ml bottle of the 6.2% ABV beer, so this is 2.45 standard drink units, oh and about 186 calories a serve size. Brewed for Mash Palace, this is in the style that is India Pale Ale (IPA) and I fairly certain that this might have happened in Auckland. 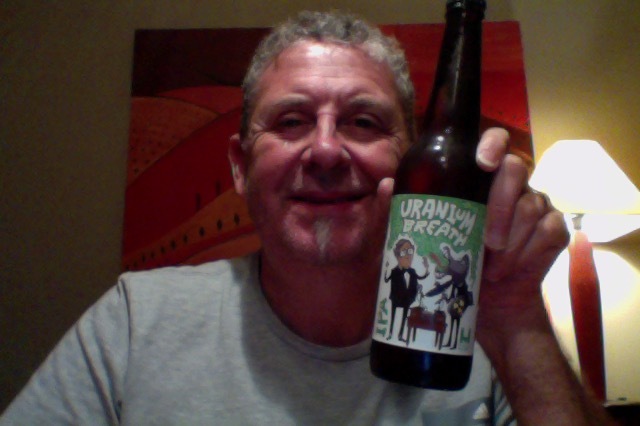 Drawing on a great history of US and NZ clashes, Uranium Breath ‘embottles’ the spirit of one of our most iconic victories. In contrast, where our esteemed Prime Minister argued in a prevailing effort to keep the ‘green stuff’ away from our shores, we search for ways to increase our intake of a similarly pungent green stuff. It was all about the nuclear free thing you see. Bottle bottled on 16 Feb, yes I’ve had it a while in the fridge. Aroma is slightly sour on opening, that isn’t what I remember at all, I was all prepared for a moment of peace and I’m frowning. Pour looks lovely though, a dark orange brown with a head that I managed to keep in control and seems to nearly hold itself but is fading a little. Aroma has settled into a flat damp grass thing. Taste is, to be honest, a little short of what I remembered from the keg fresh version, This is a lot flatter and the finish is much longer and dryer and slightly harsh. This does not have a ‘brightness’ about it in the mouth, and is somewhat dour and flat. It might be one of those don’t resist a thing moments where the experience and memory I had of something has changed or is, right now, different, from that wonderful memory. I’ve now got a beer that has a distinct and harsh aroma, dank almost,and it preceded a beer that is quite harsh on the palate. A beer that ends slightly sour and annoying. There is nothing nice to say about this beer that is, for me, clearly not at it’s best, a bit of a shambles, and somewhat tragic, and frankly bad. Least said honest mended though, I’m positive that this is a beer that is good, and enjoyable and a quick online check confirms that it is being well received. Tonight though, at this time, and in this place, and from this bottle, it’s not a good thing. The pdubyah-o-meter rates this as 5 of its things from the thing. This is really difficult drinking. I sent a message to the brewing people, I’m sure this isn;t right. I know this is’t tight. Where did I get it? It would be in all good places. Am I enjoying it? Nope, this just isn’t right. Would I have another? Nope not from the bottle unless someone convinced me that this was an aberration. From the Keg though I’d be keen. Would I share with a friend on a porch and set the world to rights? haha no, If you turned up with a smile and story about this and then opened it you’d be leaving early. Sorry chaps it’s a party killer. Bass / Guitar / Keyboards and Beatboxes, aerial vocals and catchy tunes. The duo combines rock, kraut, pop, afrobeat & new wave, all of which make up the Mensch sound… somewhere between LCD Soundsystem and Blondie…let’s dance and die ! 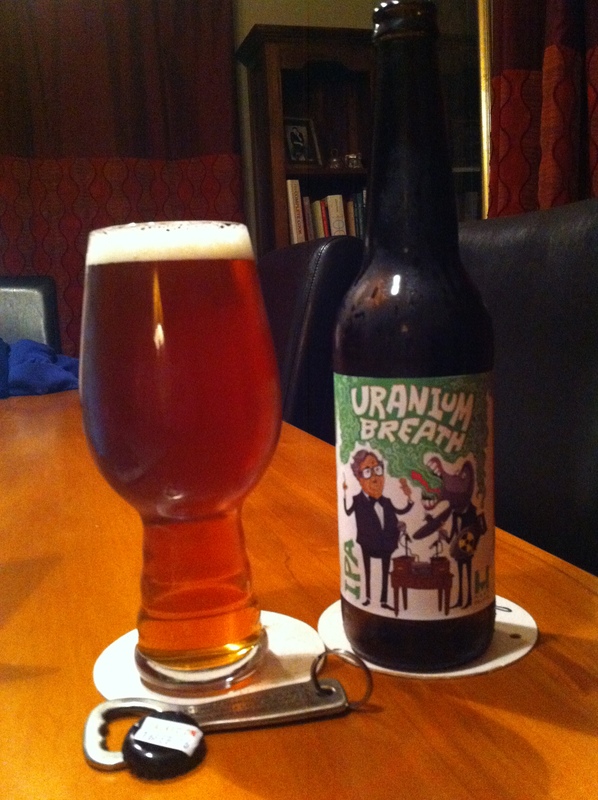 This entry was posted on March 12, 2016 by Philip Walter in Beer, Beer of New Zealand, Beer Review, Craft Beer, Critic, India Pale Ale (IPA), Justsaying, Mash Palace and tagged Auckland, craft beer, India Pale Ale, Mash Palace, Mash Palace Uranium Breath.